It’s really meant to be consumed on a scorching day by the water, and is only made by Mr. Uyeda at his venerable Tender Bar in Tokyo when melons are in season. 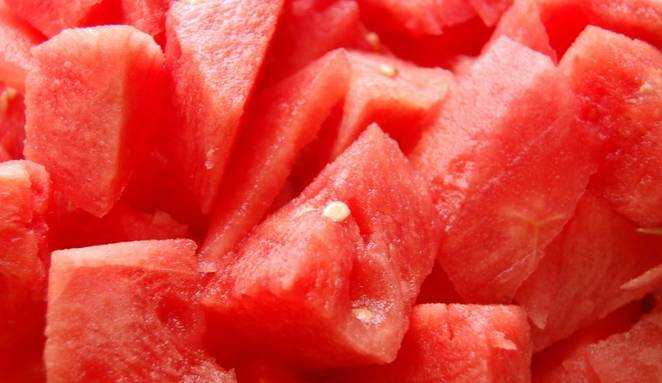 Water melon juice can be easily prepared by blasting chunks of the fruit in a good blender until completely pureed and then filtering through a fine sieve. Shake all ingredients with ice and serve in a chilled coupe. No garnish.